A non shrinking, non slumping ready to use ultra light filling paste. Can be sanded and painted with most paints. 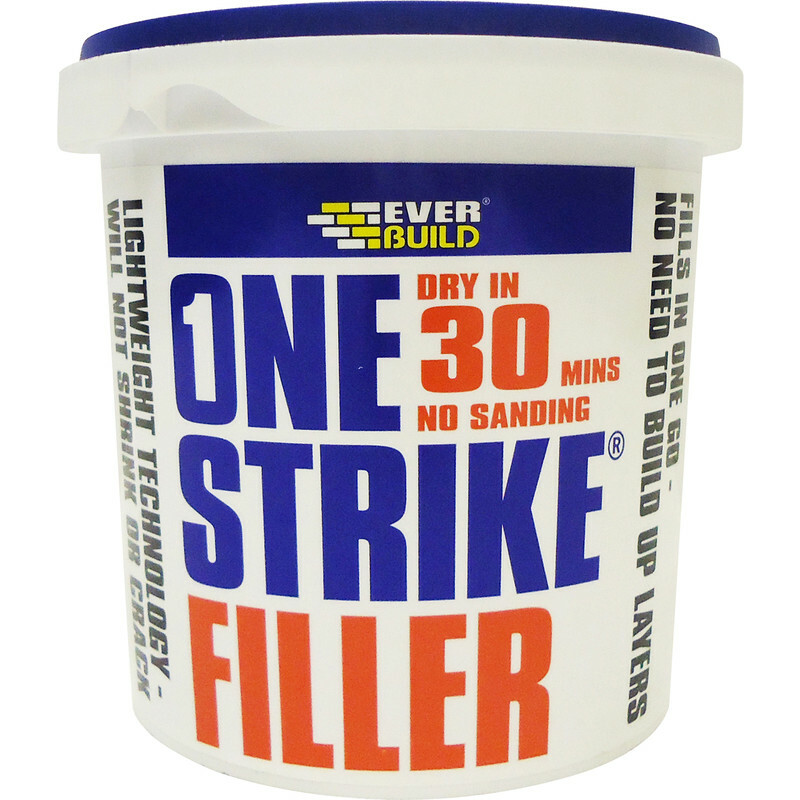 One Strike Ready Mixed Filler 1L is rated 4.2 out of 5 by 64. Rated 3 out of 5 by Nobody1 from Good but not great. Bought this as it says dry in 30 minutes. Left it to dry for 4 hours and still wasn’t. Had to leave it overnight. I’d recommend it if you can wait but not if you’re in a hurry! Rated 5 out of 5 by Racs from Great filler This filler is white and light and fluffy and is very easy to work with. Rated 1 out of 5 by Raven90 from Waste of time and money I bought this as it ticked all the right boxes for the job I was doing. It fills holes up to 75mm, my job was about 50mm. After a day I can still make finger marks, it has the texture of stiff marshmallow. I've dug it all out and threw the tub of filler in the bin. Rated 5 out of 5 by Soks53 from Thanks easy to use Always use this for a good finish . Excellent stuff . Easy transaction and good price . Rated 5 out of 5 by Silverfox67 from Goes on well I bought this for basic DIY jobs it applies well and is good to sand and paint in quick time.